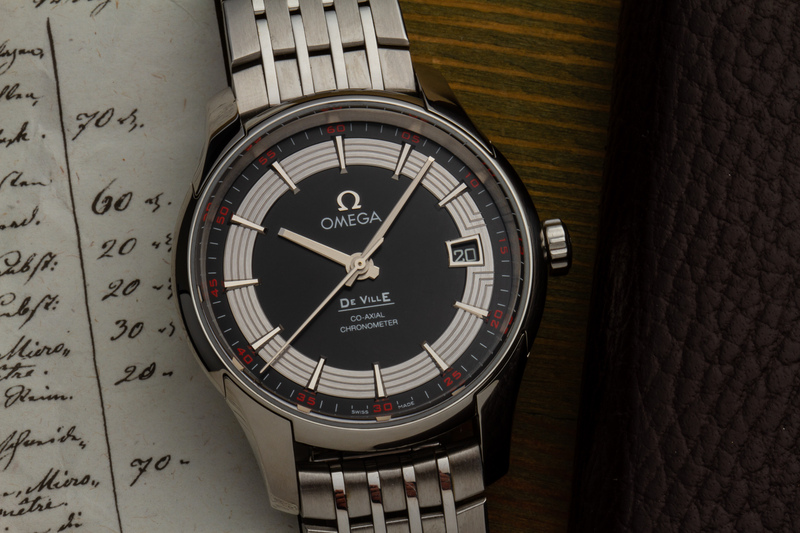 The Omega DeVille Hour Vision was introduced back at BaselWorld 2007 as the first watch to sport the all-new caliber 8500. In addition it featured a rather spectacular case with sapphire crystal sides. Over a decade later, the watch is nearly forgotten and / or virtually unknown. I don’t think that’s fair – the Hour Vision is a thing of beauty. Though only a decade ago, the watch world was a much different place back in 2007. The love for watches was not nearly as mainstream as it is today. Information was found and shared mainly through forums. While Ablogtowatch (then Ablogtoread) would launch in the same year, Hodinkee wouldn’t until one year later – though our fellow Dutchmen Robert-Jan and Frank had their blogs FratelloWatches and Monochrome up-and-running even back then. Instagram, now the prime source for casual watch talk, was still three years out. The community was there, but much smaller and arguably geekier. Trust me, I know – I was there. That’s when Omega launched the DeVille Hour Vision. In the years prior Omega had been steadily moving up the chain. It had introduced its co-axial technology in 1999 in the caliber 2500, which was based on the 1120 – which in itself was a slightly upgraded ETA. The real big move came in 2007, when caliber 8500 was proudly presented to the world. This was THE movement that would set the tone for the future Omega. The first watch to have it was the DeVille Hour Vision. In subsequent years this movement would find its way to nearly all other families. 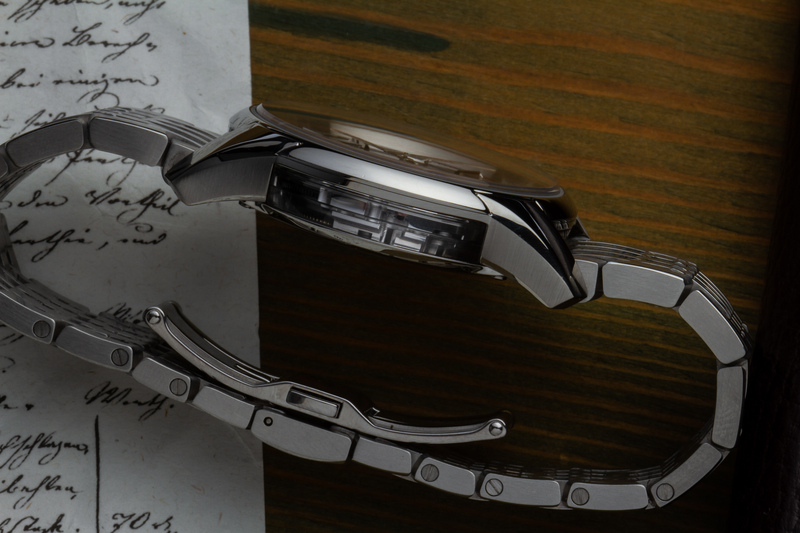 To show the movement in all its glory the DeVille Hour Vision not only had a sapphire crystal case back, but also a sapphire crystal ring sandwiched in between the case back and case body, allowing for views from the sides (3:00 & 9:00) as well. 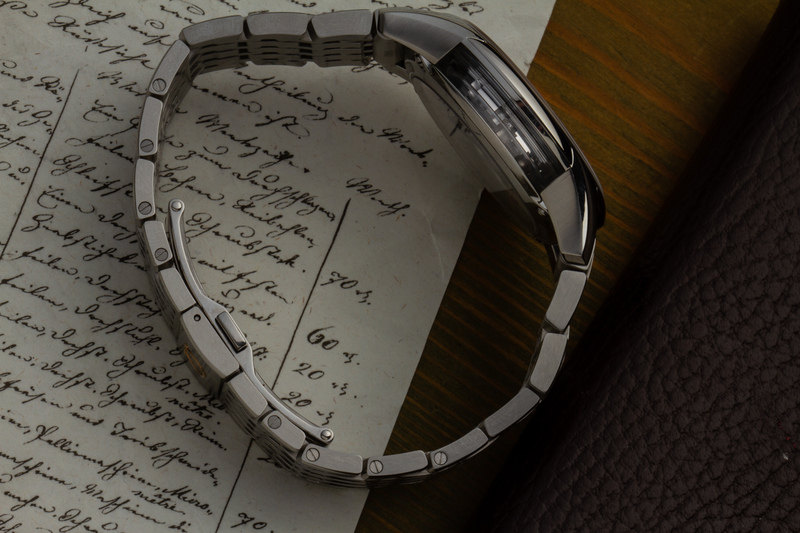 The case measured a modern yet reasonable 41mm, and was water resistant up to 100m. In addition the watch had a stellar dial. Detailed, original, yet restrained and balanced. A striking act of balance between tradition and modernity. It was available on either alligator or a nine-row bracelet. 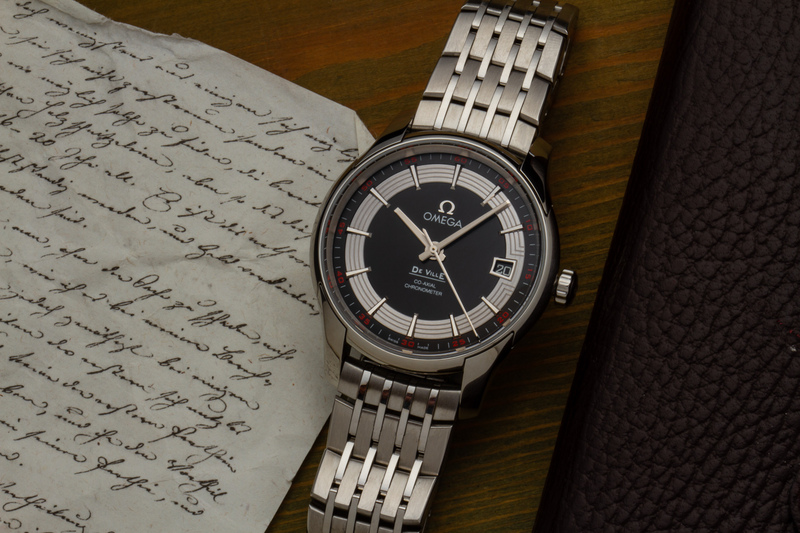 The latter, shown here, is reminiscent of the ones found on vintage Omega’s, but done in heavy and solid contemporary quality. 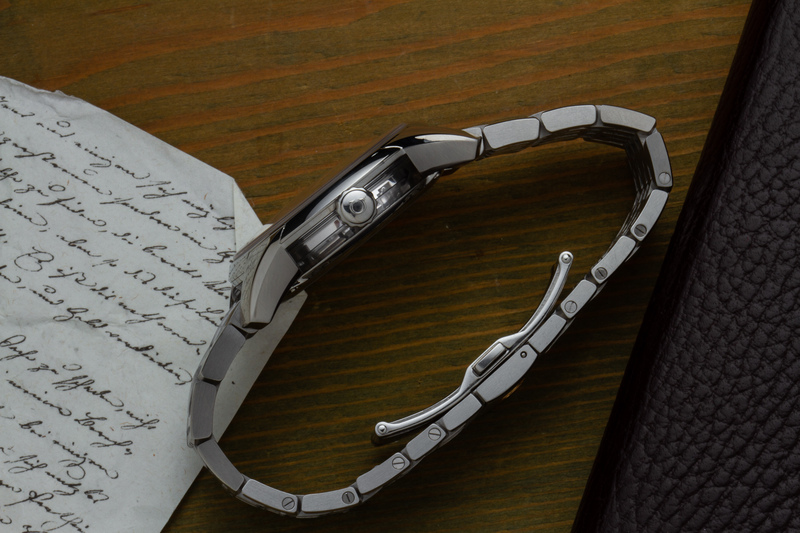 It was even available in gold – can you imagine the weight of that thing on your wrist? That must be awesome. Today, a little over a decade since its launch, the Omega DeVille Hour Vision is nearly forgotten. They are still on OmegaWatches.com, though I think production stopped in 2017. Only one of them got the upgrade to Master Chronometer spec, while the rest got ‘updated’ with a more generic look and simpler case. I feel sorry for the Hour Vision and the team who designed it. This is a great watch. This watch is available in our shop.